Use this website to quickly find the most important information about Adana Sakirpasa Airport: Flights, Departures, Arrivals, Parking, Car Rentals, Hotels near the airport and other information about Adana Airport. Plan your travel to FRA Airport with the information provided in this site. Adana Airport is the main domestic and international hub of Çukurova. 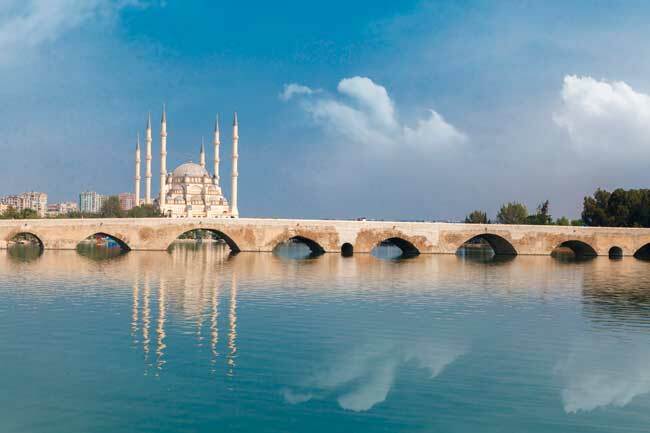 The Roman Stone Bridge is one of the most recognizable sightseeing of Adana. 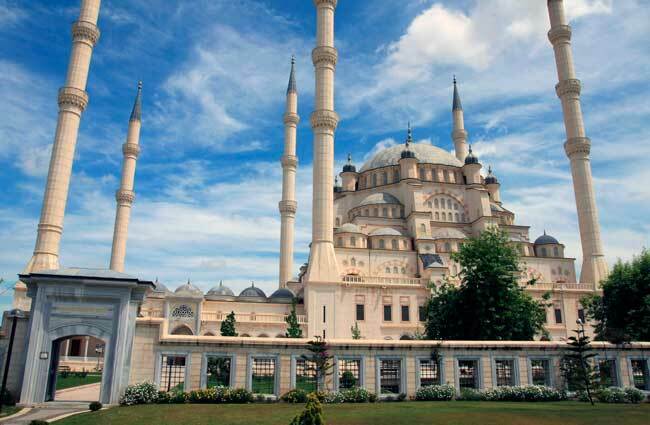 The Sabanci Central Mosque is the biggest and outstanding mosque in Adana. 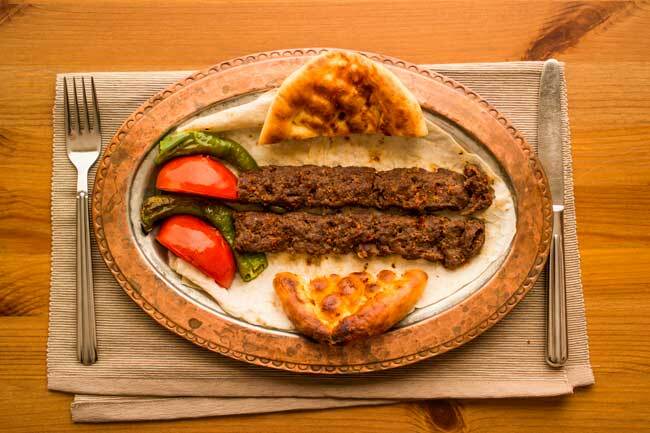 Adana is world famous for its cuisine, especially for its kebabs. Adana Sakirpasa Airport (IATA: ADA, ICAO: LTAF), in Turkish Adana Havalimani, is an international airport located at 6 km from Adana, at Sakirpasa area. It serves the Çukurova region and its surrounding provinces, as well as Adana city in Turkey. Is the main domestic and international hub of the region and the sixth busiest airport in the country. 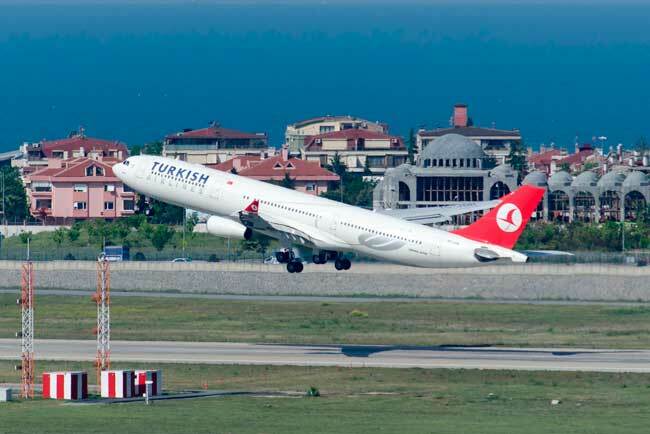 Top 10 busiest destinations from Adana Airport are Istanbul, Antalya, North Nicosia, Izmir, Ankara, Diyarbakir, Beirut, Bodrum, Cologne and Trabzon. Adana Airport handled 5,594,630 passengers in 2016. Adana Airport has two passenger terminals, the Domestic and the International Terminal. Adana is located in south-central part of Anatolia, in Çukurova region, also known as Cilicia, where the historical city of Tarsus, within the province of Mersin, lies. To reach Tarsus from Adana, there are the famous Cilician Gates, a rocky pass which historically used to be a curse for all armies for its ambushes. Adana enjoys of a pleasant climate all year, with mild Winters and hot but humid Summers. The city has Roman remains, the Stone Bridge, and other worthy places to see such as the Great Clock Tower, some temples like the Sabanci Central Mosque and Saint Paul Church, and the Historic rowhouses in Tepebag, among others.